The new video coding standard high-efficiency video encoding (HEVC) greatly improves the efficiency of intra-prediction with respect to previous standards. 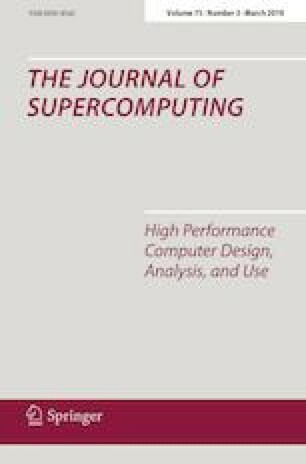 However, these new features increase significantly the computational complexity, by evaluating all the possible combinations of unit size and intra-prediction modes. In this paper, we improved our previous version of the mean directional variance in sliding window (MDV-SW) algorithm, which detects the texture orientation of a block of pixels, allowing the speedup of the HEVC intra-prediction. This was done by doubling the number of texture orientations detectable, which allowed us to use pixels from the original image as reference samples instead of the reconstructed pixels, eliminating the dependency between blocks and making it possible to parallelize the algorithm at block level when an image is processed with MDV-SW. Finally, this paper shows how the use of parallel implementation can speed up significantly the MDV-SW algorithm, achieving a reduction of around 70% when threads in Windows or OpenMP are used, compared to sequential implementation. The MINECO and European Commission (FEDER funds) supported this work under the Project TIN2015-66972-C5-2-R.